can you buy azithromycin otc Enter your email address to subscribe to this blog and receive notifications of new posts by email. As I sit down to write, I notice through the living room window, snowfall. The neighbor has a bonfire going with big plumes of smoke rising up through the wooded backdrop of trees and drifting flakes. Here I am about to write about how the green crocus leaves sprouted around the house, the sunlight shifted from soft cool to strong warm tones, and how I made blueberry pie on the warmest of recent sixty degree days. The longer I sit, the stronger the wind picks up and swirls snowflakes into cones. Earlier this morning, when the sun poked through, I went out for a photo walk. I brought a Polaroid and 600 B&W film along. 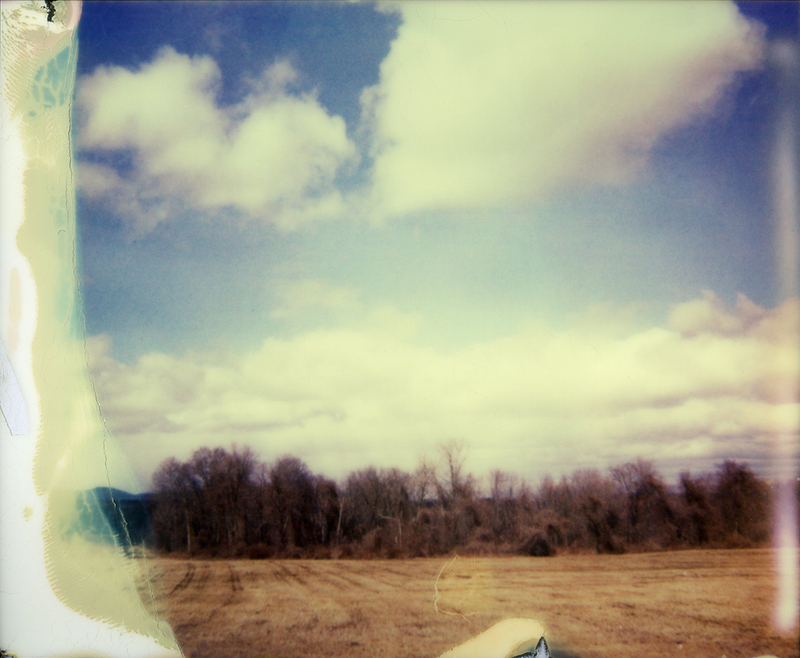 I had several layers on and didn’t think much about the chilly wind or temperature, the later being key to the successful development of Impossible Film. It was close to 40°F out and I thought I’d be safe. Temperatures below 55°F/13°C often yield a washed out (much like Robert Rauschenberg’s white paintings) image. I went for it anyway. I wanted to tell a ten frame photo essay about the town we call home. I thought out each shot as I walked along, differing my angles and perspectives, and wholly excited about capturing it all on film. It was colder than I thought, even in my pocket where I stashed the exposed film to keep it warm. So in the end, I have ten white frames, a few with spots of film on the edges, but white overall. I decided to call it a practice run, an exercise in seeing to reshoot on a warmer day. I would share the images with you, but if you’ve shot with Impossible Film, you know what I mean, even if you haven’t, you still know what I mean. While it’s more like winter today, yesterday was all spring. We drove along the back country roads and stopped now and then to capture how the sun lit the sky warm blue and the fields deep gold. 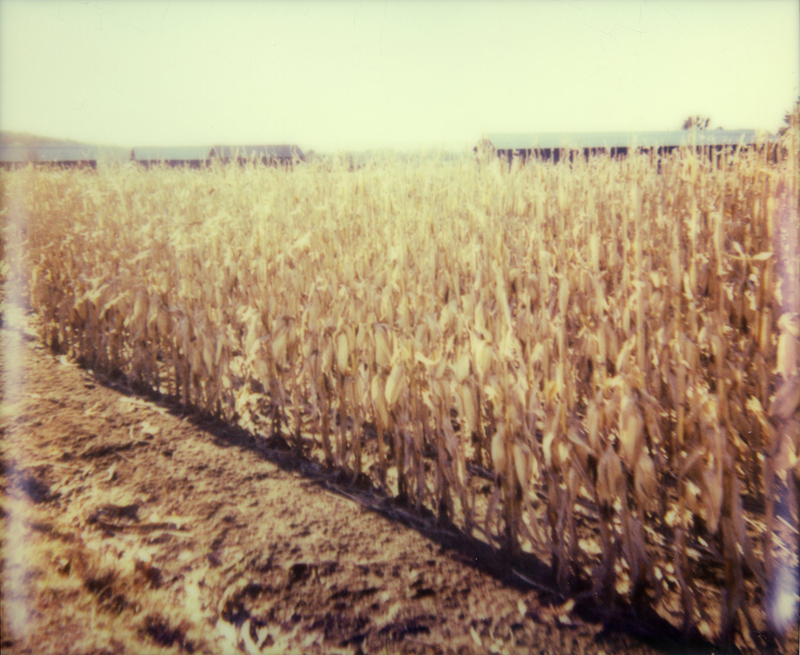 I had my Polaroid Spectra along to record the colors and light. As luck would have it, the temperature was ideal for developing images. Part of the beauty of film is in the unexpected, whether the pack turns out white or not. The joy is in making each shot. Do you have an untold story to tell? When I was only shooting film, about ten years ago, we headed out early for dawn patrol- the annual hot air balloon races in Reno do a “glow show” around 4:30am each morning of the festival. I grabbed coffee, snacks, warm shoes and socks, and of course my Pentax – which I thought was loaded with film. I snapped and snapped the glowing balloons, the flames and the patterns. The shapes of the balloons and the mountains in the distance…. And then, I realized I hadn’t loaded the film into the camera before leaving the house. I was heart broken. But I remebered what I saw and the following year was able to go back and capture it all, only I was more practiced and more knowledgeable and I got those pictures from the film less morning after all. I love the variable nature of film, and how the texture of the prints adds to the character of the image. Like that tree shot at the top. So very beautiful. I took a class once where the instructor made us carry around a paper frame to “practice” before we actually picked up the camera. I think your white exposures were sort of like that. Can’t wait to see what you shoot of your hometown when it warms up. Your images are lovely… white and all. I love your words. They resonate with me. I have so many untold stories, although I find that the ones I wasn’t able to capture visually, for whatever reason, are sharper in my memory. I love this though…. the anticipation of heading out to capture something and the shrug of shoulder that maybe it didn’t work out this time. But still, the moments weren’t lost. I love that you went and tried again rather than seeing the first time as a setback. And your images are wonderful.